This tutorial shows how to detect file type from content in Java using Apache Tika. File format detection is a usually required in search engines where crawled resources are required to be analysed, classified, tagged and indexed. We will use Apache’s Tika here to do the job. 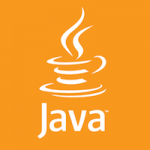 There are many libraries in Java that support serialization of Java objects to JSON and back. Below are few of them. A short presentation on available options for protecting java based softwares. Lists pros and cons of each approach. Argues on why obfuscation is the best approach and makes a feature comparison of the leading obfuscators available in the market.